Numismatics is defined as the study or collection of coins, tokens, paper money and related objects such as medals. Whether a serious numismatist, or casual collector, coin collecting is the most rewarding of pursuits. One of the oldest pastime passions in the world, coin collecting was once considered the “hobby of kings”. For the modern enthusiast, coin collecting offers many benefits with a wide variety of products to cater to a range of preferences. Whether your interests are thematic, or piqued more by the metallurgy or denominational relationships of certain coin series, for example, the South African Mint product offering appeals to any collector’s tastes. 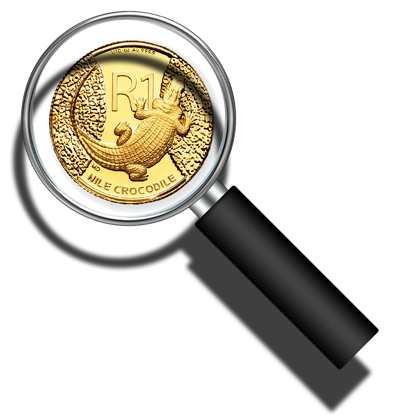 We view our coins numismatic range as global ambassadors of South Africa and its heritage. In creating our coins, we tell stories about our country, our people and our legacy – these stories are always uniquely South African, yet they resonate universally around the world. There are many reasons behind why people collect coins, and each coin you hold in your hand tells a story and the finding out of the story behind the coin is just as much fun as is finding a coin. You do not have to have a lot of money in order to be able to collect coins because you collect coins in accordance with your very own budget. By country. Often, the easiest way to start your collection by getting coins from your own country but, you can also try getting coins from as many as possible countries in the world. By date or time period. Try to get one coin of each denomination from 1990 to 2010. If you prefer older coins you will have to visit a coin dealer, or else speak to an older person who would probably be glad to give you some older coins. Also have a look at the small change you receive at the shops. By colour. Some collectors collect only silver or gold coloured coins. Beginners should rather go for base metal coins as they are much cheaper than gold and silver coins. By theme. If you love birds it is a good idea to collect as many coins possible where birds form part of the design. Some people collect only flower coins or any other topic that interests them. By shape and serration. Once you start looking at coins you will notice that they appear in different shapes and also have different types of serrations (notches and grooves around the outside of the rim). Coins can be rewarding for the collector who makes the effort to study the hobby and the market. Someone who does not make that effort is more likely to waste money on over- graded, problem or counterfeit coins. Before spending a lot of money on coins, invest in your knowledge of the hobby. For your own protection you should have at least one reference book covering your area(s) of interest. Reading a few issues of appropriate periodicals is another good idea. Where to find collectable coins? Coin shops – Dealers with their own stores can be good sources of both information and coins. Coin shows – Here you can shop from several dealers at once. The selection will obviously be better than at most shops, and you just may be able to get better prices because of the presence of competition. Mail Order – Coins can be purchased from many dealers through the mail. Make sure the source has a reasonable return policy before ordering, examine the coins carefully on receipt to ensure they’re satisfactory (get an opinion from a more experienced collector/dealer if you are unsure), and return the coins if they are not to your satisfaction. On the Web – Hundreds of dealers offer coins on the Internet and online services, including many of the conventional mail order advertisers. Again, make sure the source has a reasonable return policy before ordering, examine the coins carefully on receipt to ensure they’re satisfactory (get an opinion from a more experienced collector/dealer if you are unsure), and return them if they are not. Also, watch out for the occasional scam artist who may pocket your money and not send anything in return. Auctions – The rarest and most expensive coins are often available only at auctions promoted by major specialty auction firms. Other collectors – It’s not always easy to locate other collectors selling what you want, but when you do, you may get a better price.